Bitcoin is digital money, and the best thing about money is spending it. So here is the most comprehensive guide I could put together about shopping with bitcoin, to help you find absolutely anything you might want and to bag yourself a bargain. You can send coins to anybody just by clicking ‘send’ in your wallet and adding their address and the amount you want to send. Copy and paste the address, both to make it easier on yourself and to avoid mistakes. An even easier way to do this without having to copy and paste is to scan a ‘QR Code’ with your wallet. This is particularly handy when you are using a phone, and can be used to pay for things online or at physical stores. The QR code is just a square image with a random looking pattern (see to the left of this paragraph), and you can think of it as being similar to the barcodes that supermarkets and other stores use to identify products and their price when you get to the till. Scanning a code is very simply, you just open the scanner in your wallet and point your device’s camera at it, and will tell your wallet where to send the money and how much to send – so all you need to do is to check the info is correct and then click to confirm and send. If you are shopping somewhere that accepts Bitcoin directly you may need to wait for a transaction to ‘confirm’ before it is accepted. In stores which send out physical items in the post you will not even notice this, you can just pay and leave and then they will check the payment is confirmed and send it out to you. But when you are buying a digital product or service on the internet that you want to access immediately you may notice that you are asked to wait for the confirmation before getting access to what you’ve bought – this usually takes between 10 minutes and an hour; but if it takes longer don’t panic, it probably just means that the network is very busy and your payment will go through later. Unlike credit and debit cards, when you make a digital currency payment you can’t cancel it and get the money back later. This is great for merchants who often lose a lot of money to chargeback fraud, and often means that they can pass savings on to you in the form of lower prices. But it does mean that you need to make sure you are entering the correct address before making a payment, and that you should only shop with stores you are sure are genuine and therefore avoid anything that might be a scam site set up by thieves. Of course you should do that anyway when shopping online, but it is particularly important when using Bitcoin. As you will see in the following subsections, it is possible to spend your bitcoin pretty much anywhere – regardless of whether the store explicitly offers it as a payment option. Personally, I use BTC for at least 90% of my purchases, with the rest being cash purchases at small local shops. But if you can, I think it is always nice to buy from shops which accept digital money payments directly. You probably stand a better chance of getting a discount off the normal price when you do this. Also, by accepting these payments they are helping to support and promote Bitcoin use, and as a user I think it is nice to support businesses who choose to do this. There are some big and famous online stores you can go to, like Overstock for example (which is great for bargain shopping) and Expedia. There are also a few dedicated sites that have popped up specifically to cater to digital money users, such as luxury product retailer BitPremier, for example. In order to find the right store, either on the internet or in your local area, there are a few directories and search engines that you can use. One of the best of these is http://spendbitcoins.com/, which lists over 100,000 merchants and has a great search function that helps you to sort through both products and places. Smaller services also exist to cater to specific countries, for example http://www.wheretospendbitcoins.co.uk/, which caters to the United Kingdom. Another great way to find a wide range of both professional merchants and casual sellers is by using peer-to-peer (P2P) ‘decentralized’ marketplaces. Because these apps have much lower fees for merchants, and also include individuals selling used goods as well as professional stores, there is a great chance you will be able to find a bargain by using them. They provide a single interface through which you can find many different merchants and products from around the world, but at the same time they still allow you to deal directly with the seller and do your shopping with bitcoin without going through a middle man as you would with popular P2P websites like eBay. The two main decentralized marketplaces are Open Bazaar and Syscoin. Amazon is one of the world’s favourite stores and stocks an absolutely massive range of products. They don’t accept Bitcoin directly, but if you are willing to take a little extra time over placing your order you can go one better than that – by getting discounts of 10% or more on anything sold on the Amazon site. Services like Purse.io are able to offer you this discount by matching shoppers who want to buy a product with people who want to buy Bitcoin using a credit card and are willing to pay a small premium to do so. The shopper lists the products they want and makes an offer to pay with BTC, usually 10-20% below the retail price. Buyers then purchase these products with their credit or debit card, using the shoppers address for shopping, and claim the offered coins in return. You may have to wait a few days for your order to be picked up by someone, and of course there are a few extra steps involved in buying something compared to shopping on Amazon directly, but the discounts you can get make it worth your time. Specialist debit cards are a great way to shop anywhere that accepts Visa or Mastercard (i.e. 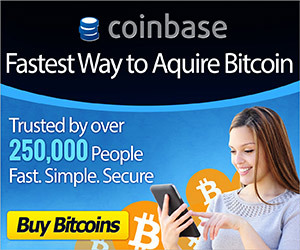 the vast majority of shops across the whole word), but still pay using Bitcoin. There are various different types of card available, and some providers will offer a choice of options. For example, some providers such as Wirex offer ‘virtual debit cards’ as well as physical cards. These virtual cards give you all the payment details you need to make online purchases and you can often register for one for free. But they do not come with an actual piece of plastic to use in bricks and mortar stores. Physical cards often have a small delivery fee, but allow you to shop in almost any store you can think of. Some cards allow you to keep your balance in Bitcoin. For example, XAPO is a wallet provider with a debit card option. You keep your coins in their wallet, and when you make a purchase using your card the appropriate number of coins are taken from your wallet based on the exchange rate at that moment. Other cards keep your balance in your local fiat currency, but allow you to top-up at any time using BTC. You can find more providers in our article: Spend Bitcoin Anywhere. Another great way to spend your coins with major retailers is to buy gift cards. One of the big advantages with this is that you can get cash back when you buy your gift card with bitcoin. For example, GiftOff will give you 2% cashback in the form of their own in-house loyalty points that you can spend on future gift card purchases with them. Another service that has a very wide range of cards is Gyft. Occasionally, you need to make a payment to somebody who doesn’t accept credit and debit cards, digital currency, or gift cards. This is not common when shopping for regular products, but is often the case when you need to pay bills. There are several services out there who will help you to do that, by automatically converting your coins to regular fiat money and sending them to their destination with the proper reference messages and so on. Well know example of this include CoinPay and Bitwala. I just tried Wirex … this company isn’t even close to ready for business. They currently don’t (nor do they have an eta) for US credit cards. I am unable to test other countries. There is nobody answering live chat. Great idea, but more hype than substance atm. Otherwise, thanks for the article. Have you tried XAPO? I use that and have been very happy with it, and although I’m in the UK I think I remember them having US cards. Actually that’s not true, David. If it is true we do not offer services to USA, it is only because it is a limitation of the Card Issuing Bank. Wirex have been around for 3 years already, and developed the service way further than any other bitcoin debit card service, catering to more than 130.000 clients in 130 countries. Right now, Wirex are undergoing a rebranding process, moving form the original E-Coin platform to the New Wirex App. However, the main system is still on the E-Coin Website (www.e-coin.io); and The URL on app.wirexapp.com is NOT AVAILABLE YET for login, and will only work for verifying your phone number. If you have any questions about the service, please contact us on Twitter and we can show you how much real substance Wirex is.